For those who cannot decide what to have, have their St. Louis Ribs Sampler (S$38.90) which allows you to try the best of everything. 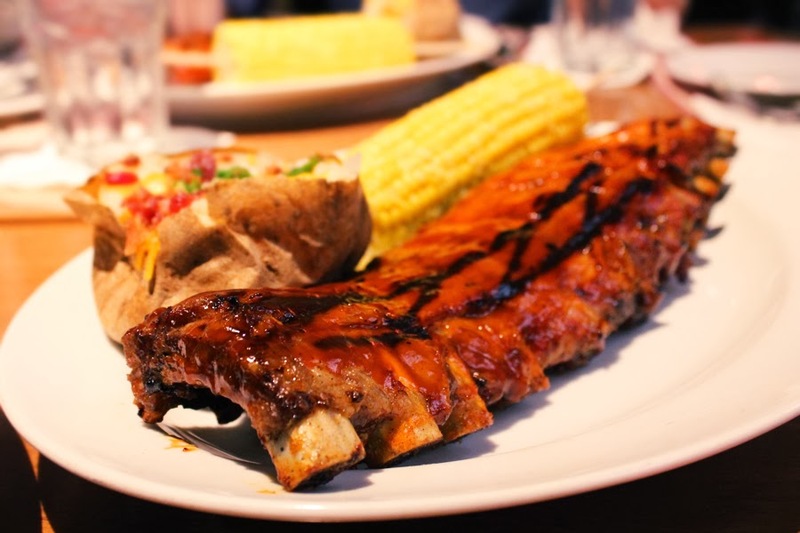 It includes a dozen of ribs, featuring four of Tony's Signature Sauces: Original BBQ Sauce, Carolina Honeys, Blue Ridge Smokies and Tony Roma’s Red Hots, together with a selection of two side dishes. Out of the four, BBQ sauce and Red Hots are my favourite: for the former, nothing beats the original, while the latter has a distinct spiciness of four different types of peppers and Tabasco sauce, among the aromatic smoky flavour. Good to share between two persons. 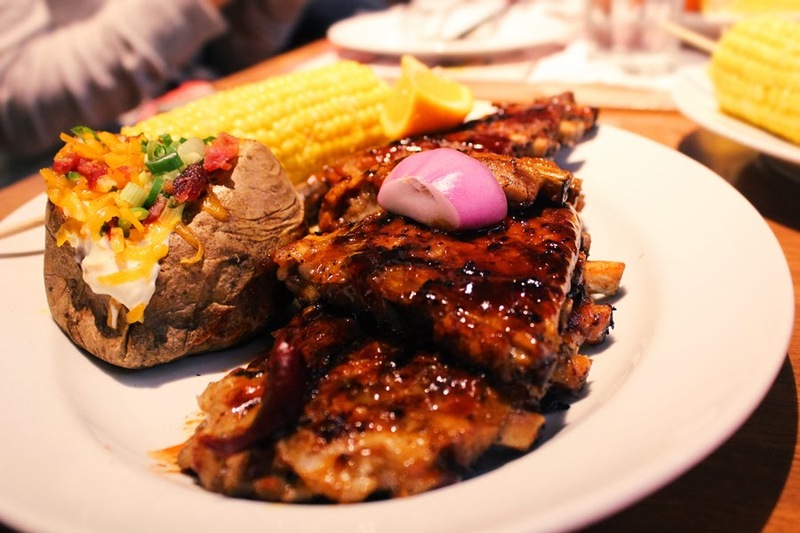 Out of 10 diners at Tony Roma's, at least 8 would opt for their famed Original Baby Back Ribs (full, S$38.90). I mean, who would opt for something else other than a dozen ribs lined with tender, lean pork loin, basted with their original BBQ sauce? 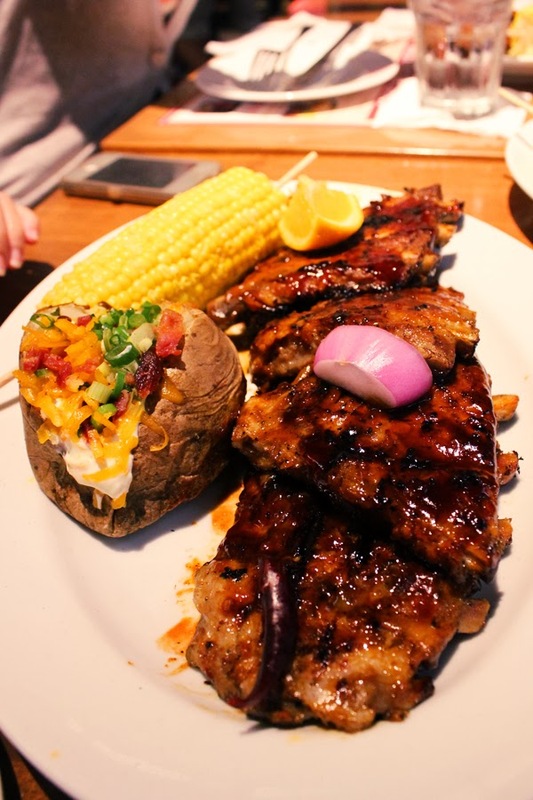 With comparison with the meatier cut of St Louis's ribs, baby back ribs triumphed in terms of tenderness and sweetness. The ribs come in 3 different sizes, and is completed with two side dishes as well.